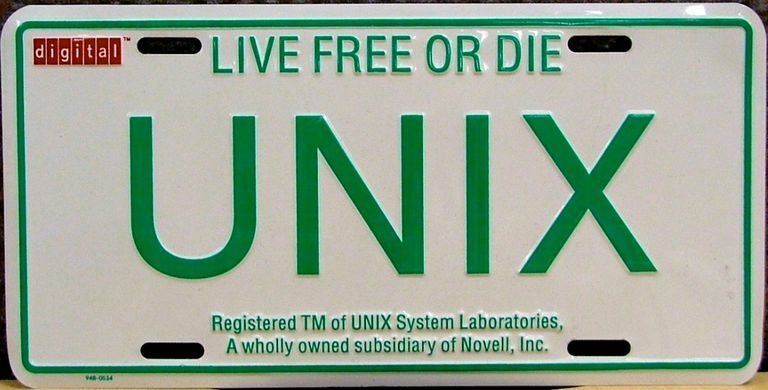 Unix is not a single operating system. It offers many modern variants also referred to as flavors, types, distributions, or implementations, which branch from its origins in early 1970s mainframe computing. Although based on a core set of Unix commands, different distributions have their own unique commands and features and are designed to work with different types of hardware. Contemporary Unix implementations differ in whether they're open source (i.e., free to download, use, or modify) or closed source (i.e., proprietary binary files not subject to user modification). Minix is a Unix-like open-source project, rarely used by home users. Linux is an open-source initiative to bring a Unix-like environment to both the desktop and server space. Linux is popular with home computer enthusiasts. Mac OS X is Apple's desktop operating system. The BSDs (FreeBSD, DragonflyBSD, NetBSD, OpenBSD) is a branch from the earliest Unix specs, following the design principles of the Berkeley Software Distribution. AIX is a series of Unix-based operating environments developed by IBM for its servers. Solaris is a proprietary server operating system based on Unix and developed by Sun Microsystems. OpenSolaris is an open-source variant of Solaris. HP-UX is a series of Unix-based operating environments developed by HP for its servers. OpenServer is based on FreeBSD and is a closed source operating system. It is now owned by Xinuos. Previously known as SCO UNIX, it was developed by Santa Cruz Operation. SCO acquired the rights to the UnixWare operating system, portions of which became part of OpenServer. No one knows exactly how many Unix flavors are there, but it is safe to say that if including all those that are obscure and obsolete, the number of Unix flavors is at least in the hundreds. You can often tell that an operating system is in the Unix family if it has a name that is a combination of the letters U, I, and X.
Mint is a version of Ubuntu with additional software drivers and minor customizations. Debian is a project that bills itself as a "universal operating system" and enjoys significant market share and a robust base of applications. Manjaro is based on the Arch Linux project and supports extensive configurability. Ubuntu is a significant player in the Linux market. Ubuntu's goal is to offer an easy-to-use distribution that's beautifully designed and accessible despite language and disability barriers. Antergos is also based on the Arch Linux project. This distribution offers its own custom installer program. OpenSUSE is a long-running German distribution that's the community version of the SUSE Linux commercial distribution. Fedora is a community project based on Red Hat Linux (an operating system that was discontinued in 2004). Solus is a built-from-scratch distribution from Ireland with a custom desktop environment called "Budgie" that looks like the old GNOME 2 desktop (GNOME is the default desktop environment on many major Linux distributions). Zorin is a distribution intended to mimic the look-and-feel of Windows to help new Linux users transition away from Microsoft's operating system. Elementary is based on Ubuntu and uses a custom desktop environment called Parthenon that resembles, in some ways, Mac OS. You might have a Linux device in the palm of your hand. The Android operating environment for smartphones and tablets is based on Linux and can be considered a type of Linux distribution in its own right.